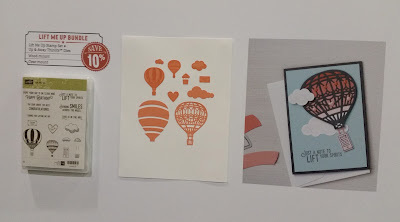 I'm so excited that we have 2 Sale-A-Bration freebie choices that coordinate with products in the 1017 Occasions Catalog! 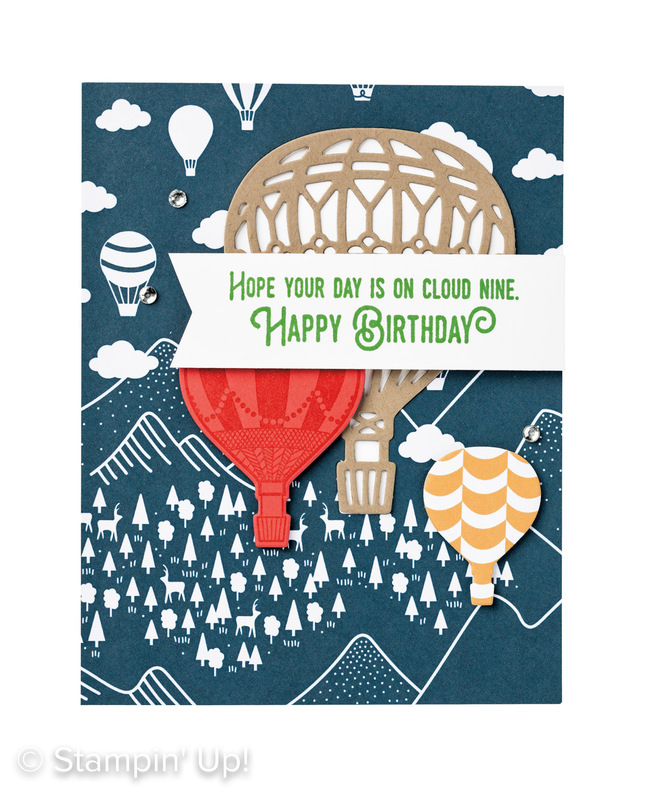 The first coordinating product is the Carried Away Designer Series Paper. 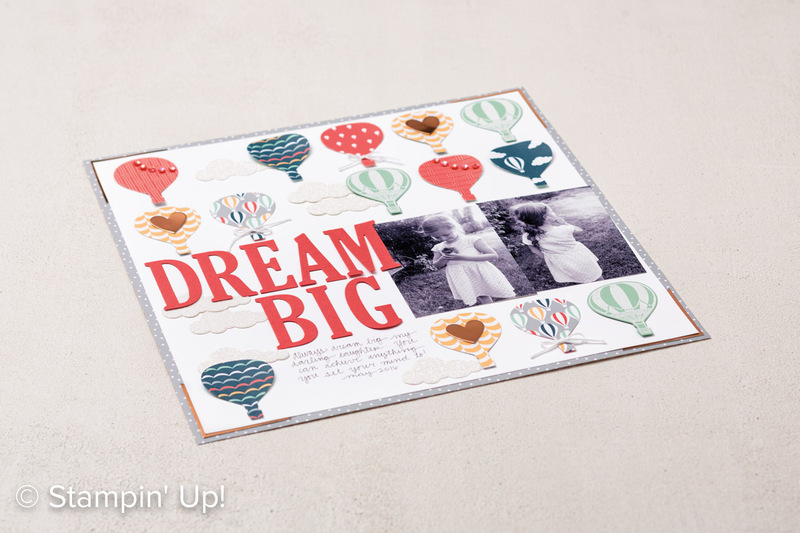 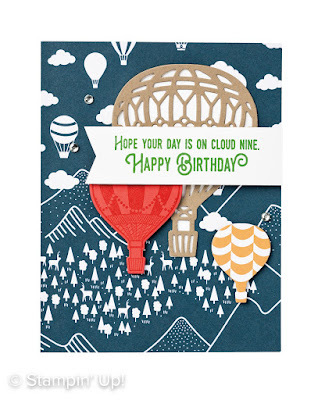 It coordinates with the Lift Me Up stamp set & Up & Away Thinlits (They are available as a bundle!). 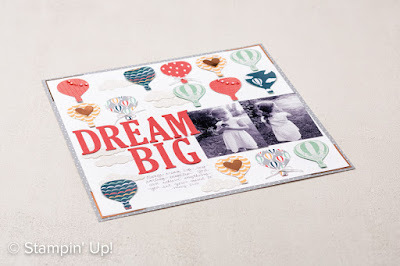 Below are two Stampin' Up! 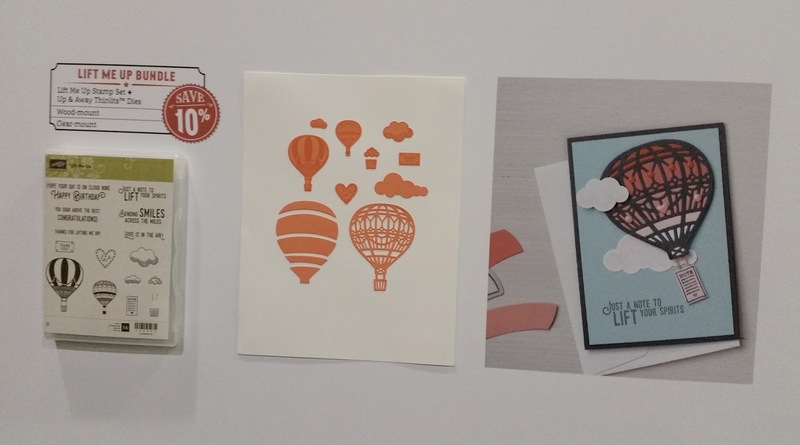 samples using this paper. 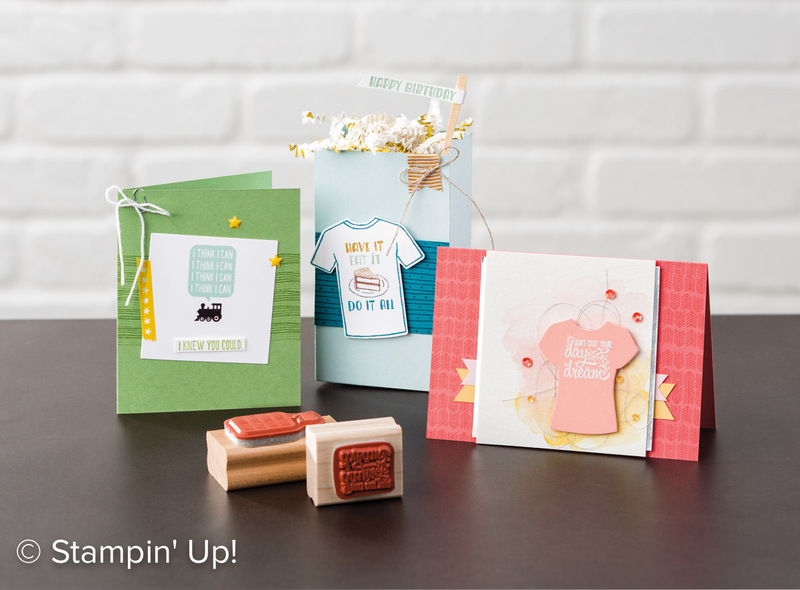 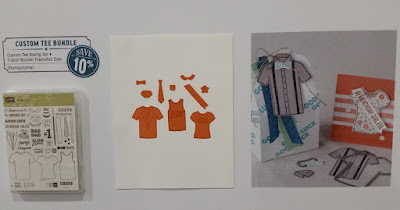 With the Sale-A-Bration stamp set, we will have 2 stamp sets for our Designer Tees! The Sale-A-Bration Designer Tee stamp set coordinates with the Custom Tee stamp set & T-Shirt Builder Framelits in the 2017 Occasions Catalog.